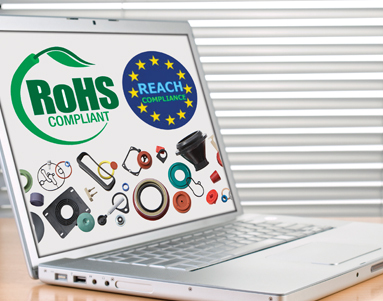 Restriction of Hazardous Substances Directive (RoHS): This European Union directive establishes restrictions on specified hazardous substances in electrical and electronic equipment. RoHS limits the usage of certain heavy metal, heavy metal compounds and brominated flame retardants in electrical and electronic equipment. 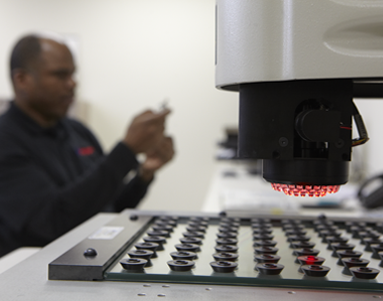 All products J Royal supplies are both RoHS and RoHS 2 compliant. Registration, Evaluation, Authorization and Restriction of Chemicals (REACh): REACh is a European Union regulation dealing with registration of manufactured or chemical articles imported into the EU. The core of the REACh regulation is its Candidate List of Substances of Very High Concern (ECHA). The listing details elements or chemicals that upon importation, must be reported to the EU. This candidate list is constantly updated and as of December 2013, 151 different substances were on the list. Most parts supplied by J Royal are REACh compliant, however, because the list is continuously updated, you are advised to check with us for current REACh status of our products. Dodd Frank Conflict Minerals: The conflict mineral regulation limits the sourcing of certain elements and minerals from conflict regions inside Africa per the Dodd-Frank Wall Street Reform and Consumer Protection Act. This regulation currently limits the sources of tin, tantalum, gold and tungsten to certified areas that do not directly or indirectly finance armed groups in the Democratic Republic of the Congo or adjoining countries. Presently, tin, tantalum, gold and tungsten are not used in the formulation of any rubber or plastic parts supplied by J Royal.